Put an End to Your Hair Loss! All of us lose hair every single day and it is normal. Losing hair becomes a problem if you lose about 100 or more than 100 hair every day. It is known as abnormal hair loss and it can turn into a hair fall crisis. We try different methods to stop it but to no gain. Taking the right treatment at the right time can put an end to this problem. For thin and bald spots, a hair transplant is a good option. This article discusses some unbelievable hair loss success stories. If you want to recover your hair growth and need some inspiration, this topic is for you. You might have come across people who got amazing results through hair loss treatments and hair transplant. It is necessary to choose a good hair care professional because performing a treatment by oneself often does not deliver the required results. If you choose the right person for hair treatments, the rate of success would be much higher. So have your problem checked by professional today? Here are the latest stories of people who got promising results through hair loss treatments. Famous YouTuber Carolyn Evans has recently shared the hair restoration journey of a friend whose age is 18. She reported this success story on her on her YouTube Channel (Carolyn Evans). Her friend Maryl was used to have a good hair volume one year ago but her hair started shedding last year. She was taking too much stress due to her fight against acne. Her hair loss was partially due to the medicines she was taking to curb acne. When Maryl consulted her hair care expert, she suggested her to stop taking that medication. To begin with, she stopped the pill that was causing her hair to fall rapidly. Her expert also asked her to add organic items to her diet which she did very well. Now, it was time to undergo advanced treatment. Her professional suggested her to take undergo microneedling treatment. Maryl tried it and experienced exponential hair growth in the next months. Today, she has good hair volume and she is happy that took the right decision at the right time. Let’s discuss another inspirational story of a man who desperately needed a hair loss treatment because he was on the verge of going bald. This story revolves around a 9 am to 5 pm worker, Elbert, who was used to sit still more than 10 hours a day. A strange thing occurred last winter when he started losing more than 100 hairs a day. Actually, his job requires a mix of good looks, handsomeness, and a little bit of coolness. He knew that he would lose his job if he went bald. When he discussed this issue with his wife, she took him to an eminent dermatologist in the city. The doctor thoroughly checked his problem, got to know his routine, and questioned about his diet. They also discussed the medical history of Elbert during the initial consultation session. After going through all details, the dermatologist recommended PRP therapy for hair loss. He tried it the next weekend and experienced major changes. His hair stopped falling abnormally plus new hair started growing. You have read the known causes of hair loss and how people are overcoming the worst forms of hair loss. In the end, we can say that hair transplant can fix hair loss that occurs due to different reasons. If you are a victim of hair loss, you should consider this safe and effective option. 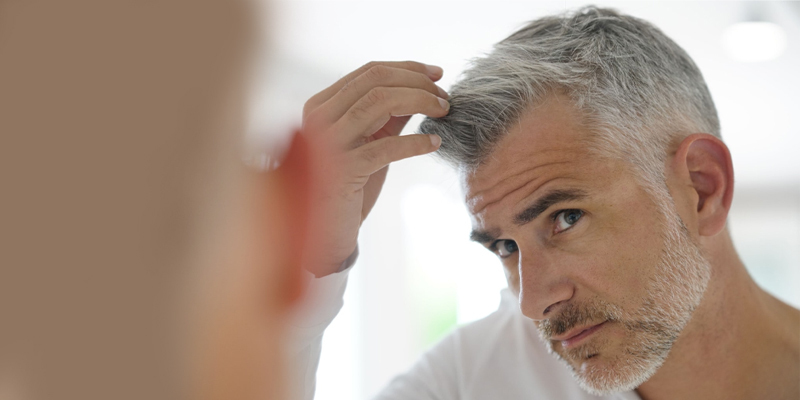 How much does a hair transplant surgery cost? How much do I have to pay for a hair loss treatment? Should you have further questions, feel free to get in touch with your nearest provider. So pick up your phone, dial the number of your professional, and book your appointment.